The United States has security and economic interests in Uganda. Uganda has been a major shock absorber of the conflicts and the problems in its neighborhood. One of the key questions for the world and for Uganda is, how long can the nation continue to host over 1 million refugees? Uganda has had a very turbulent past. Idi Amin took control of the country in 1971 and led an eight-year regime during which 300,000 civilians were massacred. Later, the Lord’s Resistance Army (LRA) terrorized northern Uganda, leading to the displacement of more than 2.5 million people over the course of 19 years. Thankfully, the LRA is no longer a huge factor. Since 1986, Uganda has been under one-party rule, led by President Yoweri Museveni, one of the leaders during the country’s rebellions that overthrew Amin. The years of violence by the LRA and the civil wars in the 1970s and 1980s have given Uganda’s current leadership deep sympathy toward the plight of refugees. Many of Uganda’s political leaders were refugees themselves at some point and some even multiple times. President Museveni, for example, was a refugee twice. One senior member of the Ugandan government told us that he survived as a refugee sleeping in a Lutheran World Relief tent. Today, Uganda is known for having some of the world’s most progressive laws around receiving refugees and now hosts the third-most refugees in the world, only behind Turkey and Pakistan. As a result, over 1.4 million refugees, mostly from neighboring countries like South Sudan, the Democratic Republic of Congo (DRC), and Burundi, now reside in Uganda. Refugees, especially the ones from South Sudan who are linguistically and tribally similar to people in northern Uganda, are given plots of land distributed in settlements, a far better arrangement than traditional refugee camps. Refugees in Uganda are integrated into the communities, attend local schools, use the Ugandan health care system, and can work in Uganda. President Museveni’s “Pan-African” ideology also drives Uganda’s refugee policy. His government espouses a belief that all Africans must face their problems together. While Uganda has gained a reputation as a very welcoming country for refugees, challenges and problems remain. We recently met with a group of refugees from South Sudan, Congo, and Burundi when we were in Kampala. A common complaint among the group was that refugees struggle to receive even the basic health care they are promised by the government. Last year, Uganda’s state minister for health went undercover at a hospital and was repeatedly asked for money from hospital staff in order to continue treatment, yet the health care system still has not improved. While this may be a challenge for everyone in Uganda, it is even more challenging for refugees who typically have less money and knowledge of local services. Uganda’s stability could be threatened by its exploding population and the growing number of refugees. The country’s population is expected to double to 80 million by 2040. The average woman in Uganda gave birth to 5.71 children in 2017, which, though down from an average of 6.8 children in 2002, is still the seventh-highest fertility rate in the world. Counterintuitively, the Ugandan government has been encouraging people to have even more children. One political leader told us that “people are our strength,” yet the country’s services are failing under the pressure. Uganda’s recent sluggish economic growth and the low investments it has made in education suggest that it will not benefit from a “demographic dividend” like many countries in Asia. From about 2000 to 2010, Uganda’s economy grew at an average annual rate of 7 percent. The gross domestic product growth rate dropped to an estimated 4.6 percent in 2016, too slow for such a growing population. 70 percent of Ugandans live on less than $2.50 per day, a figure that has remained constant (adjusted for inflation) for the past 40 years partially because of the population growth. One source of future growth could be tourism, because Uganda has been blessed with a wonderful climate and biodiversity; however, Uganda must compete with Kenya’s animal reserves and Mount Kilimanjaro in Tanzania. Uganda has the potential to be the breadbasket of Africa with some experts suggesting that its agricultural productivity could increase five to ten times if major changes were made to the country’s agricultural policies. Today, over 70 percent of the active labor force is engaged in agriculture. Will there be enough growth to employ all the people that will join Uganda’s population? Political instability could further derail economic growth as it appears more and more likely that the eventual transfer of power will not be smooth. President Museveni appears to be headed down a path similar to that of former president Robert Mugabe of Zimbabwe, who refused to step down until he was forced to resign. In December 2017, President Museveni and his supporters changed the constitution, removing the age limit on the presidency and allowing him to stay in office indefinitely. This did not go unnoticed, especially among Uganda’s youth, and led to street protests. Uganda needs to start thinking about its future and who will replace Museveni if he dies in office or is forced out like Mugabe. The United States needs to develop a new relationship with African countries like Uganda, with a greater focus on economic growth, trade, and investment. U.S. development and security assistance to Uganda exceeds $840 million per year, and the United States has provided antiretroviral treatment for more than 890,000 HIV-positive Ugandans. However, very few U.S. companies have moved into the country. Instead, China has become one of Uganda’s most consistent trading partners and investors. The United States must find ways to take the relationships built through U.S. foreign aid and pivot to more commercial relationships in order to compete with other global powers. The United States is a shareholder in the success or failure of Uganda going forward. China is involved in almost every major infrastructure project in the country and ranks as Uganda’s second-largest importer, behind only India. However, China has gained a reputation for poor infrastructure, creating an opening for the United States. Only three years after the Karuma and Isimba hydropower dam project was completed, large crackshave formed. The 30-mile-long road from the airport in Entebbe to Kampala, being constructed by the China Construction Communications Company (CCCC), is already a year behind schedule. The United States is a shareholder in the success or failure of Uganda going forward. If Uganda has less progressive refugee policies, or closes its border, then the United States and Western allies will quickly feel the impact. The challenges in Uganda are a microcosm of the challenges in other parts of Africa. 76 percent of Ugandans have a positive view of the United States, and many are craving U.S. investment and expertise. The continent, and specifically East Africa, include rapidly growing economies that should be destinations for trade and partnerships with the United States in the future. 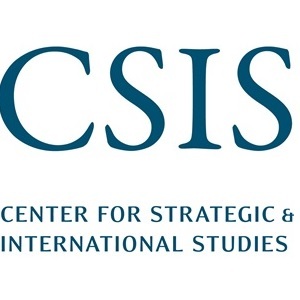 Daniel F. Runde holds the William A. Schreyer Chair in Global Analysis and directs the Project on Prosperity and Development at the Center for Strategic and International Studies (CSIS) in Washington, D.C. Christopher Metzger is the program coordinator for the CSIS Project on Prosperity and Development. This article was first published by the Centre for Strategic and International Studies on 3 May 2018. This article was republished with permission.